Use the Melting Connector to fuse Kera-link Hair Extension bonds to hair. It's hot enough to melt the bonds, but gentle enough that it won't damage hair. Place the bond underneath a small section of the client's hair and then squeeze between plates of the Melting Connector. With the applied heat, the bond fuses to hair for a secure strand-by-strand hold. Kera-Link Hair Extensions look and feel natural because they're fused right to the hair, and since they blend right in, they're hard to see. When it comes time to remove the bonds, our bond remover breaks and softens bonds so they slide out easily, without damaging hair. The small melting curves are designed to perfectly fit our keratin bonds, so using them together makes installation easy. Using Academy PRO hair extension appliances guarantees that both the clients original hair and the hair extensions are treated properly and last a long time. 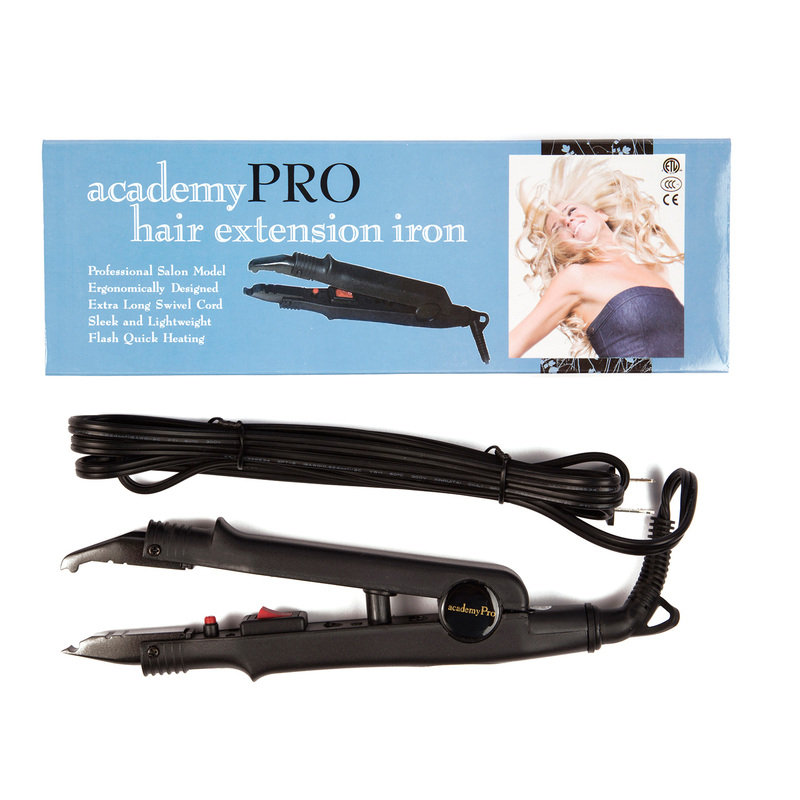 Our appliances are designed to work with Academy PRO Hair; we recommend only using our products for the best results.